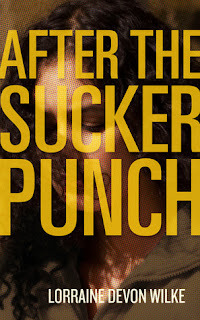 After The Sucker Punch is an aptly named novel because it packs a mighty punch and raises so many questions, I was left literally reeling by the end of it. Lorraine Devon Wilke commands our attention with a splendidly dramatic opening and never lets us off the hook until the very last page. The novel is essentially the story of Tessa Curzio, who whilst attending her father’s funeral discovers that he kept diaries for fifty years and has used them to record less than complimentary observations about his family and friends. The trauma of the death of a parent combined with the diary findings serve to cast Tessa into a spiral of self-doubt and destruction. The diaries are described as a Pandora’s Box and indeed, once they’ve been opened, the lives of Tessa and her family will never be the same again. In addition to this, the effects of the Pandora’s Box seem to extend to the reader, leaving behind some very thorny philosophical questions. LDW shrewdly uses the third person narrative to tell her story, which invites the reader to see the bigger picture. We don’t necessarily always agree with Tessa’s version of events, especially where her siblings are concerned. Tessa has a difficult relationship with her older sister Michaela but LDW offers us a glimpse of a woman trying to juggle her life as a wife, mother and teacher, whilst stepping up to her new role as the family designated carer for her newly widowed mother. Whilst Tessa may have little sympathy for Michaela, LDW ensures that the reader does. Tessa’s relationship with her siblings is for me the heart and soul of the novel and anybody who has siblings will recognise the petty tensions and jealousies but deep visceral love that defines the bonds they share. Tessa to a large extent has removed herself from her family in order to survive and consequently much of the to-ing and fro-ing between them is via a hilarious series of telephone conversations. LDW offers us the Curzio family and with it the question of whether parents are responsible for their adult children’s misery. Tessa grew up with an unstable mother who is prone to extreme mood swings and a distant, aloof father, who struggled with intimacy. Despite their chaotic childhood, Tessa and all five of her siblings have grown into accomplished, successful people. Ronnie, her younger brother has lost his way but still has the potential for a good life. However, they are mired in their childhood, looking for reasons as to why their parents are like they are. Tessa’s mother bemoans the fact that she feels like a “dartboard” as her children look to blame her for their difficult childhoods. There’s no denying that her father’s written words have a devastating effect on Tessa and cause her much soul searching. As she rails against his words, there is clearly the kernel of fear within her that they might be true. 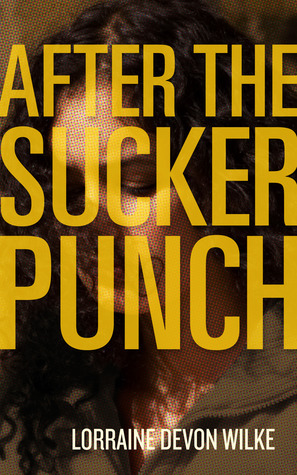 As she is forced to confront her fears, her life implodes around her. The only constant is her friendship with Kate and Ruby even though LDW allows just enough realism to creep into their relationships. Tessa can’t help but feel reassured by Ruby’s marital problems whilst suffused with jealousy at Kate’s seemingly perfect life. At the crux of the novel is the idea of whether we should be judged by what we write. Leo Curzio’s diary habit is made more toxic by the fact that he wanted his family to read them. The diaries serve as a metaphorical hand grenade tossed into the bosom of his family with the potential to rip lives apart. Tessa’s aunt, who acts as the conscience of the novel, asserts that maybe we should be judged on our actions rather than by what we may write. To all intents and purposes Leo Curzio was a good man, who did his best to give his children the best start in life but, for some bizarre reason felt the need to vent his bitterness and resentment on paper. Which is the more valid Leo is the puzzle that Tessa is left to figure out. In the end there are no startling revelations or absolute answers, just a sense of peace and the idea of trying to accept people as they are, warts and all. LDW has captured the spirit of family perfectly in that there is no perfect family. Her novel is funny, warm, tense, angry and ultimately shows us that life is to be lived and there’s no point in dwelling on the past. There is great honor, as an author, in seeing that your work has struck exactly the right chords and inspired a response such as this. THANK YOU, E.L., for so beautifully and articulately expressing your thoughts about this book. I feel as though you literally grasped every element of the story, the fine points and those less so, in ways that convey how thoughtfully you read and analyze a book. I cannot tell you how thrilled and grateful I am. Thank you, sincerely. How could I not like the review? I feel like you so GOT it, mentioning elements of the story that few have (like the articles she wrote). Thank you for being such a thorough reader and I can't tell you how much it means to me that you were involved with the story and characters. That is, really, the whole point. You made my day! That is an amazing review. As if you were thinking out loud. Because I read this book and loved it, reading your thoughts was such a treat to me. You did this great read justice and gave it life, that this story most certainly has. It's full of highs and lows and draws you in. Some heavy revelations with true to life reactions. Powerful, gripping and definitely a page turner. Not enough books as good as this one! You found a gem. Thanks for sharing. Brilliant!